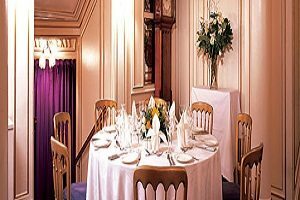 Do you manage a restaurant near London Coliseum? Click here to contact us and get listed. 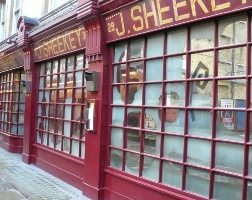 J. Sheekey is a fish restaurant in the heart of Covent Garden and near to many major West End theatres including the London Coliseum. J. Sheeky serves a menu of responsibly sourced seafood. With shellfish, crab, oysters, caviar and market fish, there is something for all fish lovers! There is also a good selection of vegetarian meals as well as a tasty looking dessert menu. Call 020 7420 9865 for reservations or further information. A trip to see a show at the magnificent London Coliseum can be completed by enjoying the theatres high class catering services. Theatregoers can arrive 90 minutes prior to curtain up to enjoy dinner in either the Sky Bar or American Bar, depending on diners budget and preferences. The American Bar offers a seasonal set menu of two or three courses with delicious starters, mains and desserts that all include vegetarian options. The Sky Bar is a slightly more casual affair where diners can choose what they would like a seasonal menu of hot and cold dishes. Alternatively, for an extra special evening at arguably London’s most beautiful and romantic theatres, audience members can book a box and a tailor hamper of food to enjoy throughout the performance. The theatre opens for pre theatre dining 90 minutes prior to curtain up. Call 020 7845 9202 for reservations or further information.